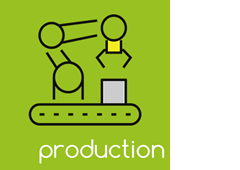 Cubik Innovation operates and manufacturers in the UK and offers services for complete product development including design, prototyping and production. Whether you have a completed product which needs debugging or optimising, have an idea you wish to grow from conception or are somewhere in between, we have the expertise to help. 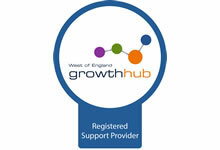 Our specialist team have a diverse range of skills and expertise which enables us to offer our clients a wide range of services such as research, investigation write ups, interactive workshops, or a mix and match. 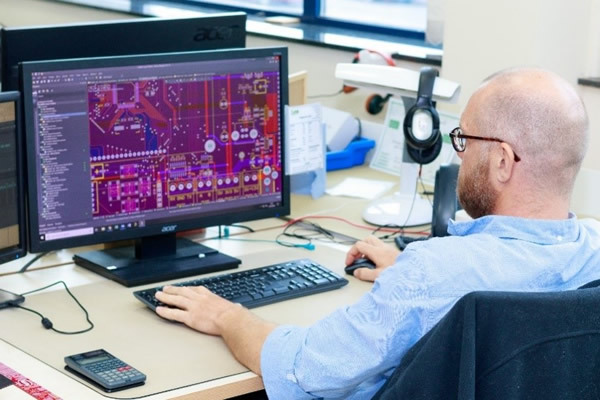 We also offer a specialist electronic design and prototyping service for emerging businesses, SME’s and corporations and can provide bespoke, one-off and short run solutions. Before moving forward with any project work, we analyse your product needs in detail which enables us to proceed accurately and efficiently. Our engineers then work to deliver a prototype version, at an investment cost appropriate to your requirements. On approval of our proposal, we assemble a project team and hold a project launch meeting. This meeting is essential to ensure that all parties understand what is important within the project and is where deadlines are put in place. 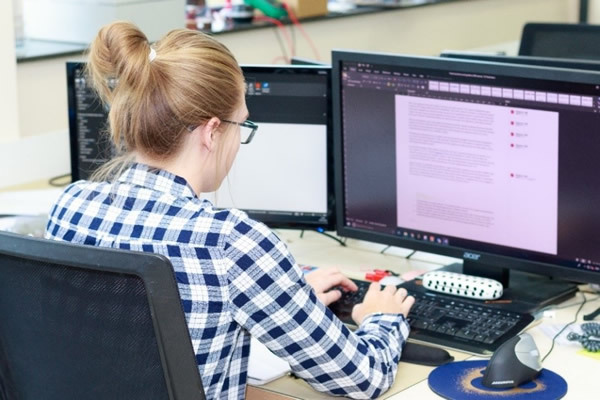 We use the outputs of this meeting, together with any information or specifications you provide, to create a detailed Technical Design Specification (TDS). This outlines all the technical requirements that need to be met, as well as detailing the system architecture. Measurement criteria for the process is documented which could include a compliance matrix to enable later testing to be completed. 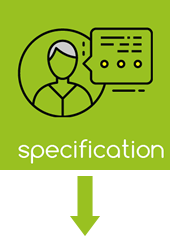 We ensure all project stakeholders fully understand the deliverables and timescales required, so there are no unwelcome surprises during the delivery stages. 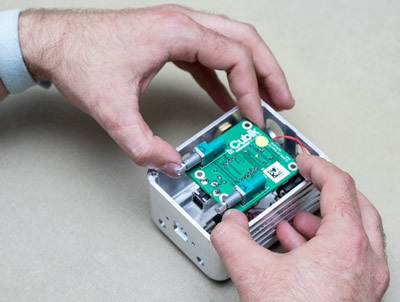 Cubik Innovation are experts in electronic product design and offer services across electronic, mechanical, industrial, software and many other design specialities. 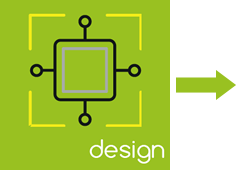 During the design process, innovative methodologies and techniques allow us to rapidly reach optimum design requirements, ensuring development times and costs are minimised. 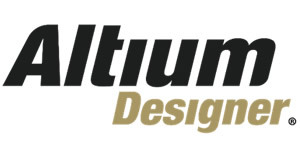 Cubik Innovation uses Altium Designer as our preferred design tool. 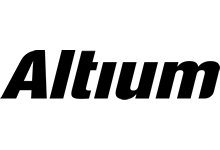 For more information, visit the Altium UK website. 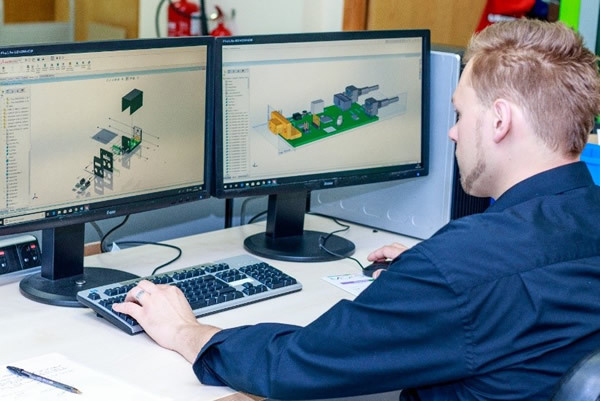 Our core skills of electronic and software design are complimented by advanced solid modelling and mechanical design to provide a comprehensive service. 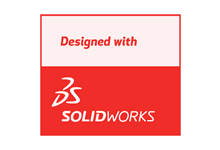 Our mechanical design engineers are SolidWorks trained professionals and can create innovative and unique product designs. They have access to range of equipment to enable them to create custom prototype and small batch mechanical items. 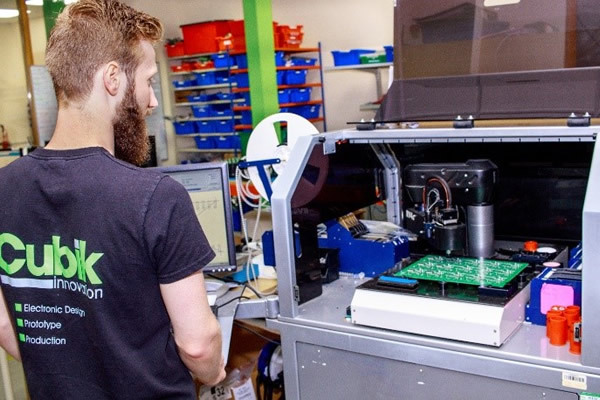 Our in-house mechanical lab houses a range of equipment including several, 3D printers, a CNC Router and a host of other tooling which gives us the ability to cater for all mechanical needs. 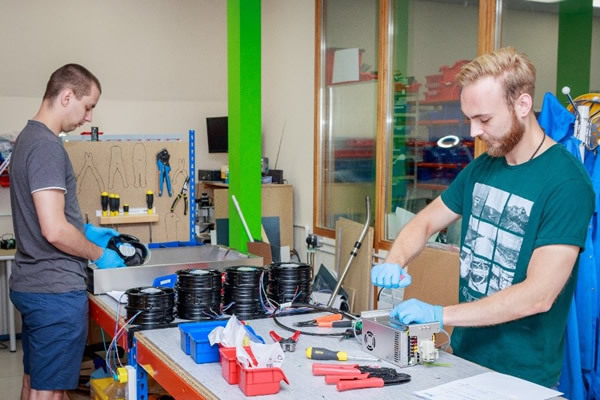 Working with us will provide a unique blend of product and electronic design creativity, ensuring the appropriate co-ordination and skills necessary to develop brilliant end products. Our proven approach will reduce your product development times, streamline your project and ultimately have a positive impact on your profitability. 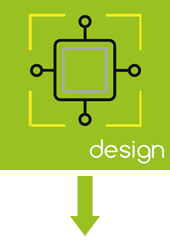 If you are looking for experts to develop stunning new product designs or have a real design problem to solve, we can help. 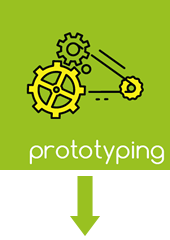 Whether you require a prototype to market test or a proof of concept prototype to secure investment, we will deliver your product at an investment cost appropriate to your requirements. 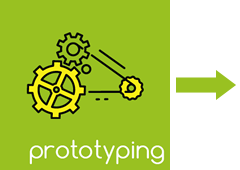 Our prototyping capability is highly flexible and can cater for single or multiple prototypes suitable for product launches or field testing. If needed, we can also take projects through to ‘looks-like’ functional models that include injection-moulded realistic components. 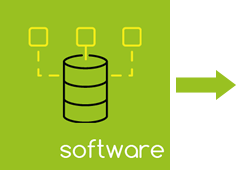 Cubik Innovation has a dedicated in-house software development team capable of undertaking a variety of firmware, application and server-side software development through the software development lifecycle. 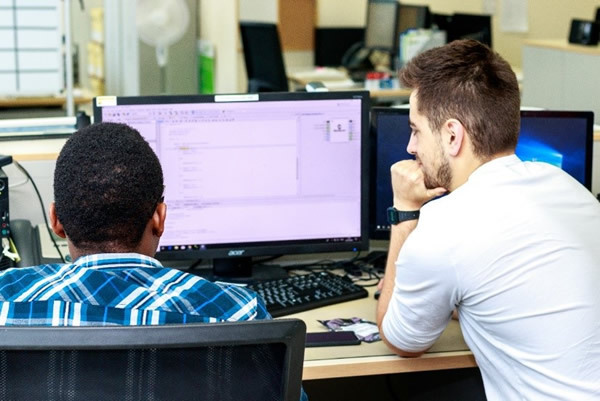 In a world of rapidly changing software environments, our engineers have vast knowledge in the development of control applications to run on a multitude of platforms (including Windows, Android and Apple), test and working servers and tried and tested embedded software skills. 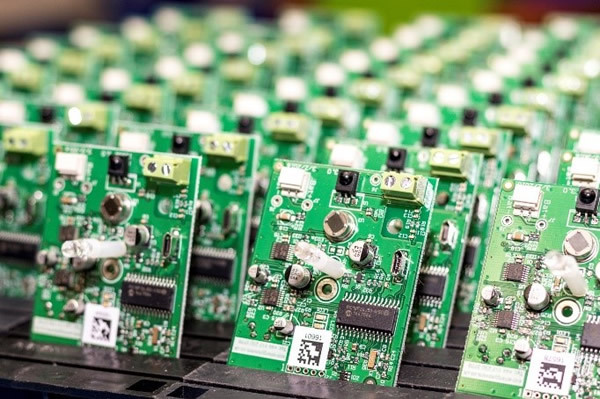 We produce embedded software in parallel to the hardware development process which ensures development times are reduced and your project costs minimised. 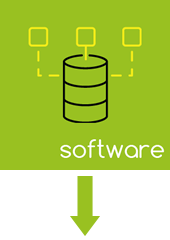 All production level software is produced to our in-house software standards. In addition, we can test to MISRA standards or other standards if required. This way you can be guaranteed your project will be completed to the highest quality. Cubik Innovation specialises in designing with Microchip products. Visit the Microchip Technology web site for more information. 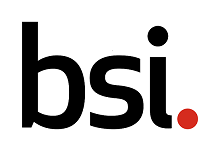 Cubik are experts in EMC, electrical safety (LVD) and radio equipment testing (RED) as well as many other appropriate legislative testing standards. We have extensive experience in taking products into production and firmly believe in testing any product before it reaches the end of the design process. 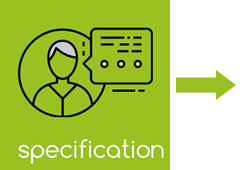 We internally review at every stage of the development cycle and end each project with a testing phase, where the initial specification points are assessed using a compliance matrix. 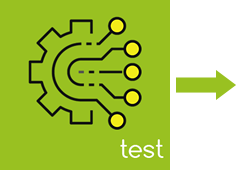 Before committing to expensive test-house based testing, our skilled engineers can carry out a cut-back set of tests in an accelerated or reduced-spec manner. This allows us to highlight any risk areas that may need resolution before a product is taken to the test house and an opportunity to feed those results into the design. 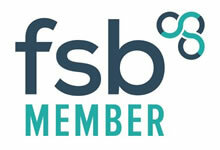 We also have the facility to carry out a range of environmental testing and debug. 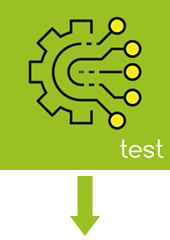 As part of the test journey, we always advise that you carry out comprehensive and thorough field testing, putting your product through its paces to ensure it works and behaves as you would expect in a real-world environment. One of our experts can accompany your product to our preferred external test house to resolve any issues if and when they happen. This is ideal if a simple fix is required, as it can be carried out there and then to ensure your product passes and to prevent any further delays or incurred costs. Before any electronic product can be released for sale, a Technical File and Declaration of Conformity must be produced. We have in-house capability to produce this for you. Finally, we will deliver a technical design pack to accompany your product. This will contain all technical documentation generated by us during the product development. Where possible, this will ensure that all product Intellectual Property is owned by you and will be transferred during the technical design pack delivery. We are proud to enable our customers to own their product, giving them full freedom during their selection of manufacturers. 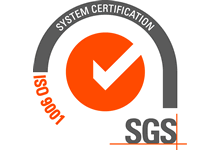 All manufacturing at Cubik Innovation is carried out within our ISO 9001:2015 systems and to IPC-A-610 standards. 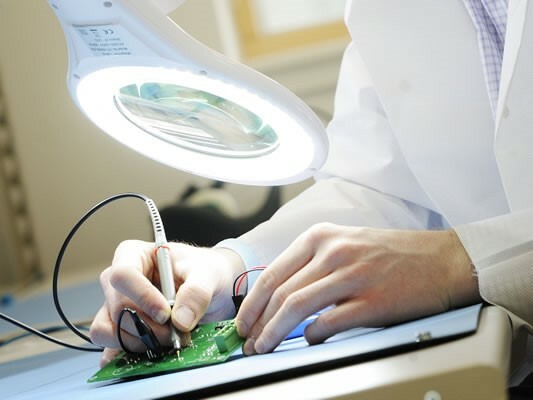 Our in-house ESD controlled manufacturing facility based at our headquarters in Bristol, together with our IPC Specialist Production Engineers, ensures we can meet all your expectations for batch manufacture. 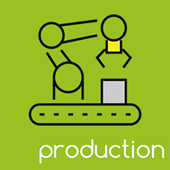 Our production team is supported by several procurement specialists who work closely with the design team to ensure cost-effective components are selected, sourced and delivered in a timely manner. All products produced at Cubik follow our strict quality system. This includes unique serialisation tracking, multiple inspection and quality checks and stringent tests so we can ensure that everything we produce meets or exceeds the expectations of our customers. 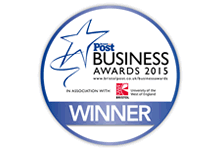 Over the years we have helped many companies take their product to market. Whether you intend to ship thousands per month or just a few, along with our approved manufacturing partners, Cubik can help and are always on hand should a problem arise. 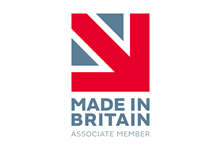 We are proud members of Made in Britain, a like-minded community of manufacturers from all over the UK. All our electronic products have been cost effectively developed and manufactured in the UK. As a British company with British manufacturing standards and processes, you will benefit from faster delivery, lower travel costs and simpler supply chain management and quality assurance processes.